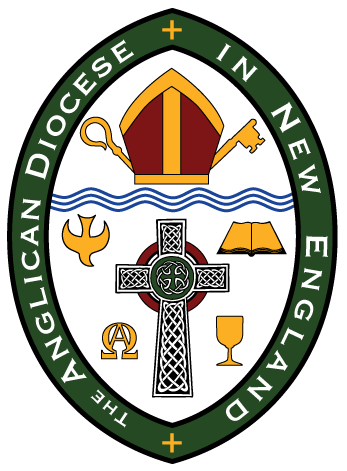 Welcome to the Anglican Diocese in New England! The ADNE is a united Anglican movement in New England that seeks to demonstrate God’s transforming power through Word, Sacrament, and Spirit in order to draw people into a personal relationship with God in Jesus Christ and help them become members of the Body of Christ, His Church. grow in the love of God and the power of the Spirit through the faith passed down to us. plant new and vibrant churches in New England that will effectively and powerfully make disciples of Jesus Christ. strengthen the unity of Anglican churches in our region, our province, and the Global Anglican Communion. work with other believers, in various denominations and ministries, to advance God’s Kingdom in the United States and to the ends of the earth. 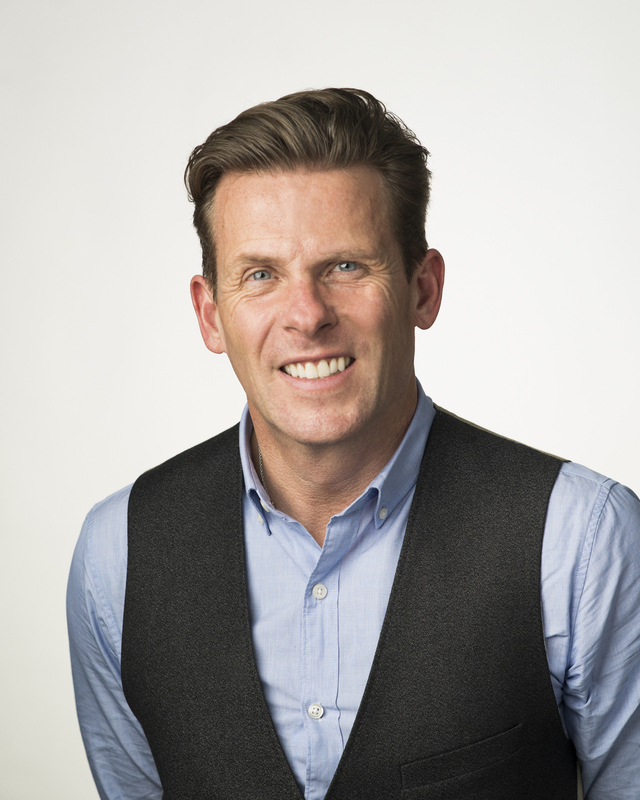 Bishop Andrew Williams began his professional life as a corporate litigator in the United Kingdom from 1989-1998, but despite a successful career, it was during this time that he began to sense that something significant was missing in his life. Much to the surprise of Bp. 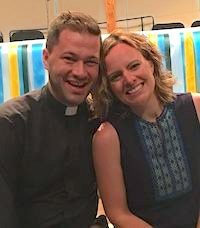 Williams and his wife, Elena, they found themselves drawn into something far deeper, and ultimately came to a living faith in God through the love, support and friendship of their Anglican Parish. A time of discernment followed, and after much prayer and strong encouragement from those who knew him, he resigned from his law firm and began training for ordination at Trinity College, Bristol. 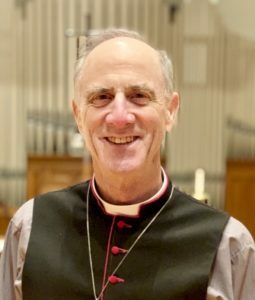 He graduated with an honors degree in theology and was ordained in the Diocese of Exeter in 2000, after which he spent six years as Associate Vicar of St. Andrew’s, Chorleywood, a vibrant suburban congregation just outside London. Prior to arriving at Chorleywood, he served a congregation in the southwest of England. Since October 2009, Bp. Andrew served as the Senior Pastor of Trinity Church in Greenwich, CT, with an area of focus in developing and overseeing missional communities and multi-site congregations. On January 10, 2019, the Anglican Church in North America’s College of Bishops consented to the election of the Rt. Rev. Andrew Williams as the next bishop for the Anglican Diocese of New England. Bp. Andrew was consecrated on March 16, 2019 as the successor to the Rt. Rev. William Murdoch, who served as the founding bishop of the diocese since 2008. The Rev. Canon Ross Kimball is a bi-vocational priest who serves in many capacities for the Diocese while working in law full-time at a Boston firm. Fr. Ross was ordained to the priesthood in 2008, answering a call that began during his time in law school. He has served as the diocesan chancellor since the diocese’s creation and, consequently, as member of the diocesan Standing Committee. Immediately after ordination, he was permanent supply priest to what began as the Upper Valley Anglican Mission (later Grace Anglican Church in Newport, NH), and then served in a similar capacity at St. Michael’s in Rochester, NH. In June 2013, Fr. Ross was appointed assistant interim Rector at All Saints Anglican Church, Amesbury, until the new pastor’s arrival, and he continues to assist the All Saints clergy while serving as Canon Pastor for Bishop Bill. The Rev. Justin Howard is Rector of Imago Dei Anglican Church in Bangor, ME. He and his wife, Amy Howard, serve the Bangor community and run their Encounter Weekend programs, where they offer teaching, prayer for emotional and physical healing, and an encounter with the Holy Spirit. Having earned his BA in Religion and Ministry at Houghton College, Justin went on to study at Asbury and Gordon-Conwell Theological Seminaries and is now finishing up at Trinity School for Ministry. Longing for a place where the Scriptural, Sacramental, and Spirit-filled facets of his faith experience could converge and find full expression, Justin found his home in the Anglican way as an ordained Priest. Justin and Amy have six amazingly energetic boys: Josiah, Simeon, Judah, Elijah, Aidan and Noel who fill their lives with wild joy. The Rev. 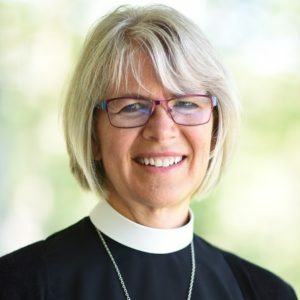 Canon Susan Skillen received her D.Min and M.Div. from Gordon-Conwell Theological Seminary, did further training at Ridley Hall, Cambridge, UK, and trained as a spiritual director at the Shalem Institute in Maryland. She lived for seven years in Orvieto, Italy, and was founding priest-in-charge of the Church of the Resurrection, the Anglican-Episcopal Church in Orvieto. She currently leads spiritual retreats in the US and Italy, as well as developing the spiritual formation programs in the diocese and training new directors for work in the local church. Discover additional ADNE resources and links!